Koster was contracted to carry out a trial on a section of the Metropolitan Line on the London Underground. 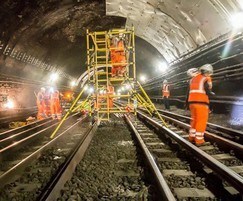 The brief was to provide an elastic, permanent repair solution which would not cause damage to the structure nor the trains passing through it. 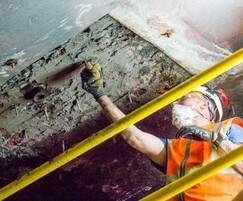 A close examination of the tunnel was undertaken. 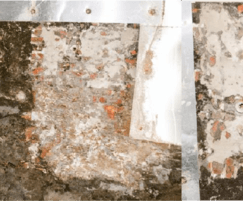 The brickwork at the tunnel's crown showed significant signs of water seepage.These areas of active leakage were initially sealed using Koster Waterstop and KD2 Blitz. Both products immediately prevented the passage of pressurised water. Once the area was free from running water, the borehole positions for Koster Superpackers were measured. Koster Superpackers are small injection lances which have been specially designed to give a superior grip (within the boreholes) whilst delivering a constant flow of grouting resin. Identifying the correct injection packer placement is an important process. Koster specified the injection ports to be placed at 400mm centres in a grid pattern, with a single packer positioned in the centre. acrylic-based resin which has a similar initial viscosity to water). The gel fills the same minute tracks and veins that water follows when infiltrating the structure and cures to form an elastic, permanent gel. It is then able to move and flex within the brickwork, protecting against future water ingress and damage.